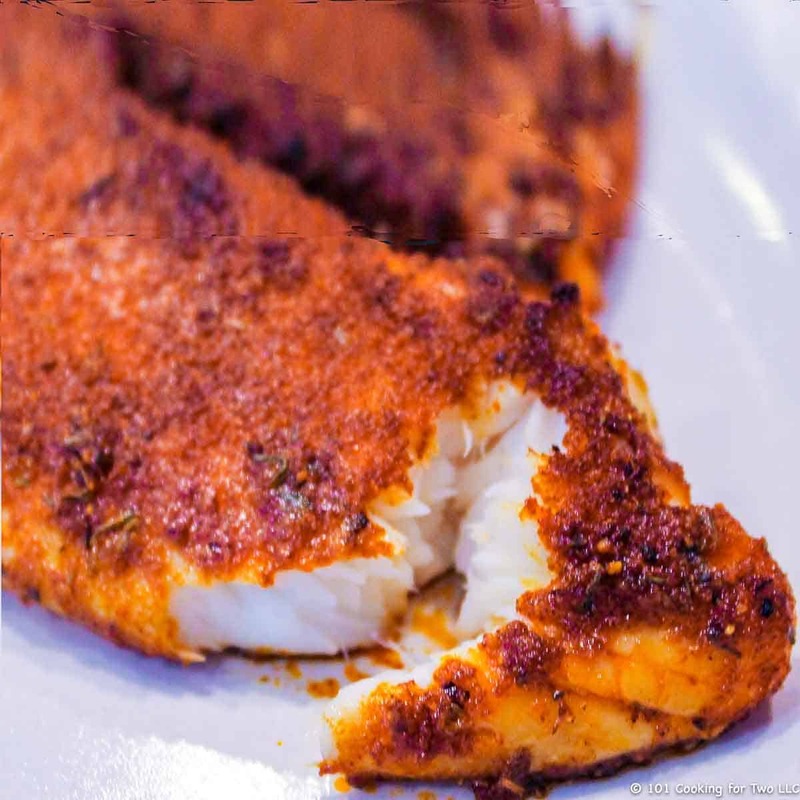 Blackened Tilapia is a wonderful dinner, or you can use it for some great fish tacos. While it is bursting with spicy goodness, it is adjustable to your heat tolerance. An easy and quick recipe that is much healthier than frying. Editor note: Originally published August 3, 2012. This has always been a top ten recipe on the site and is frequently my top Pinterest recipe. But it is time for some re-editing of the text and photos. I have wanted to do an oven baked blackened tilapia for a while. I had 5 or 6 recipes saved in my file with one over a year old. I looked at Paula Deen but lots of thyme and no pepper. It just didn’t seem right to me. I ended up with an Aaron MaCorgo Jr (Food Networks “Big Daddy”) recipe. This man can cook and is a joy to watch, highly recommended. The big change was going from fry pan to oven. This was not that hard. Just spice it up and cook with a little oil including a light spray of Pam, so the top is not dry. I only made a few changes to the seasoning. I use Spanish paprika instead of smoked. I just like the taste better. I cut the cayenne pepper a little. It was just right for my wife and me. The whole teaspoon would have been way too much for me. Wonderful. Spice it up to your desire. Just give it a try. So, can you do this with a different fish? Yep. Here are some guidelines for cooking fish. Originally published in the “Canadian Fish Cook Book” 1959 from Canadian Department of Fisheries, the 10-minute rule is not perfect, but it is very good. It works for any cooking method – frying, baking and sautéing. 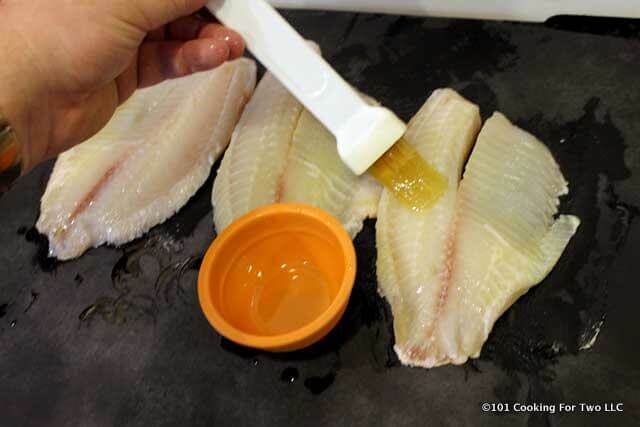 Measure the fish at its thickest point. If the fish is stuffed or rolled, measure it after stuffing or rolling and then time it accordingly. Cook fish 10 minutes per inch, turning it halfway through the cooking time. For example, a one-inch fish steak should be cooked 5 minutes on each side for a total of 10 minutes. Pieces of fish less than 1/2-inch thick do not need to be turned over. Add 5 minutes to the total cooking time if you are cooking the fish in foil, or if the fish is cooked in a sauce. Double the cooking time for frozen fish that has not been defrosted. Let’s thank our Canadian neighbors. The seasoning would go well with other fish or chicken. My tilapia was frozen and ended up being very large fillets. I cooked them for 10 minutes, and they were just right. 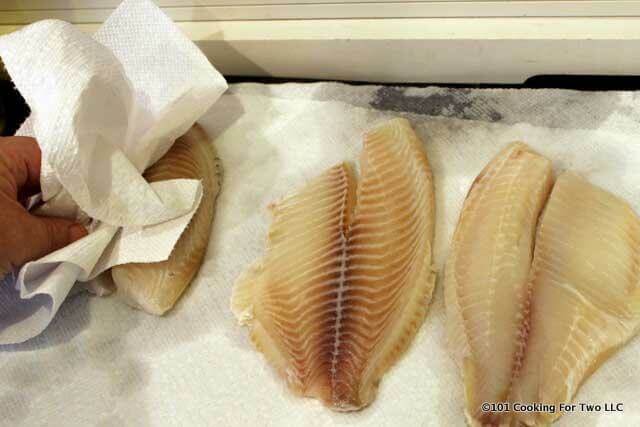 Thinner fillets probably need a minute or two less. I was oven baking but did not want dry, so I use some oil on the tray and even sprayed the top with some oil in the form of PAM. I find frying fish in a pan a “pain.” You have to do multiple batches, keep it warm in the oven and stand there all the time. And the mess, oh the mess, oven baking is just so much easier. I did an easy tartar sauce that went well with this. This is included in the recipe to use if you wish. Lastly the heat. I use a half teaspoon of cayenne pepper here. This was a 7/10 hot. I suspect most people will want 1/4 teaspoon. I have done this with 1/4 teaspoon, and it is the expected 3-4/10 heat level. 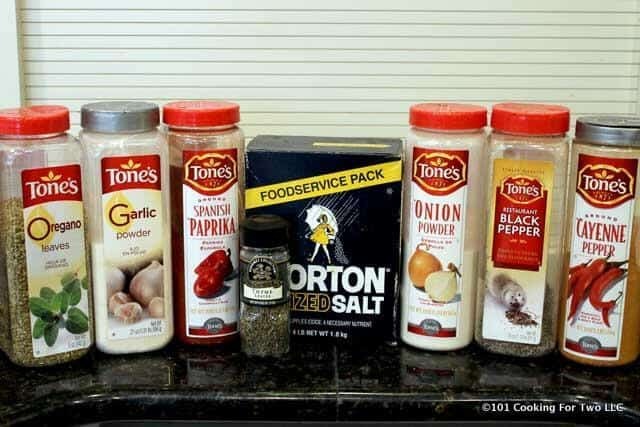 Combine 3 tablespoon paprika, 1 teaspoon salt, 1 tablespoon onion powder, one teaspoon black pepper, 1/4 to 1 teaspoon cayenne pepper, 1 teaspoon dry thyme, one teaspoon dry oregano, and 1/2 teaspoon garlic powder. This makes more than you need and save it for another cooking. The cayenne heat level will be 9/10 at 1 teaspoon, 7/10 at 1/2 teaspoon and 3-4/10 at 1/4 teaspoon. Preheat oven to 425 convection. Line a sheet pan with foil and add 2 tablespoons olive oil. 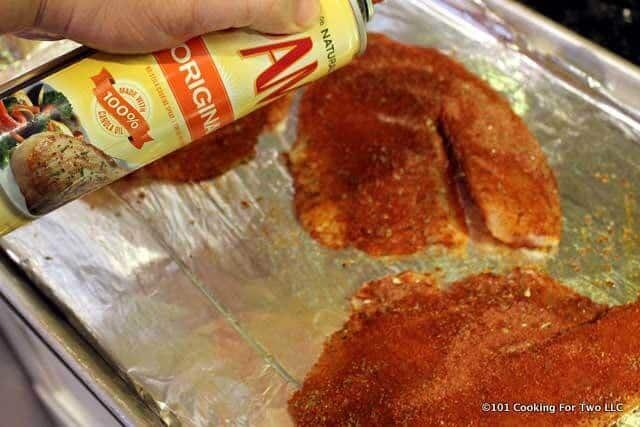 Brush it over the foil in an area that will have fish. Rinse and pat dry 1 pound of tilapia. Brush the tilapia with olive oil. Cover the fillets with the spices and rub it in (both sides). You will only need about 1/2 of the spice mix you made. Place on the oiled pan and give the fish a light spray of PAM. Place in the preheated oven. 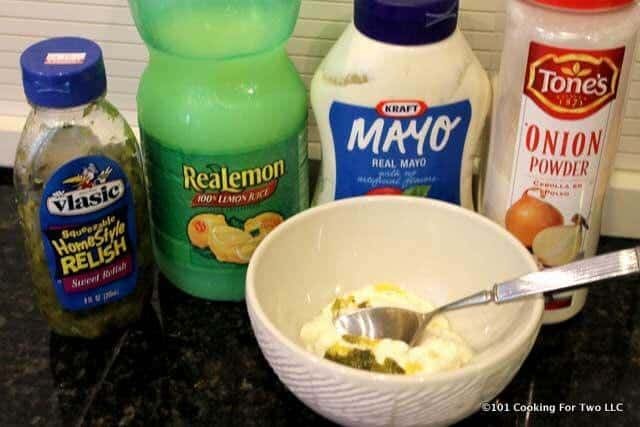 If you want a homemade tartar sauce, combine 1/3 cup mayo, 2 teaspoon lemon juice, 1 teaspoon sweet pickle relish and 1/4 teaspoon onion powder. Mix well. Cook until nicely brown and flaky. This is about 10 minutes for big fillets and a minute or two less for small to medium fillet. Preheat oven to 425 convection. 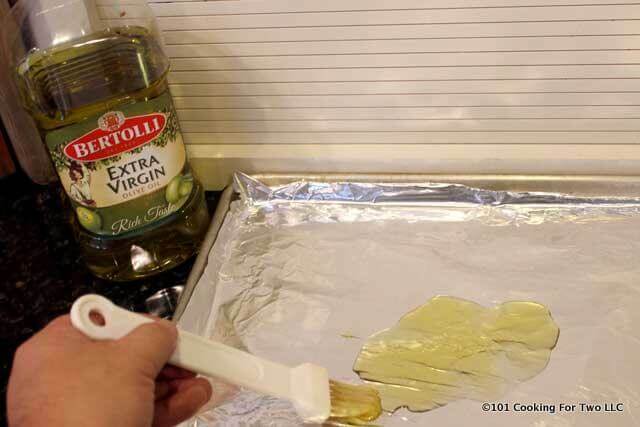 Line a sheet pan with foil and add 2 tablespoon olive oil. Brush it over the foil in an area that will have fish. Rinse and pat dry 1 pound of tilapia. Brush with olive oil. 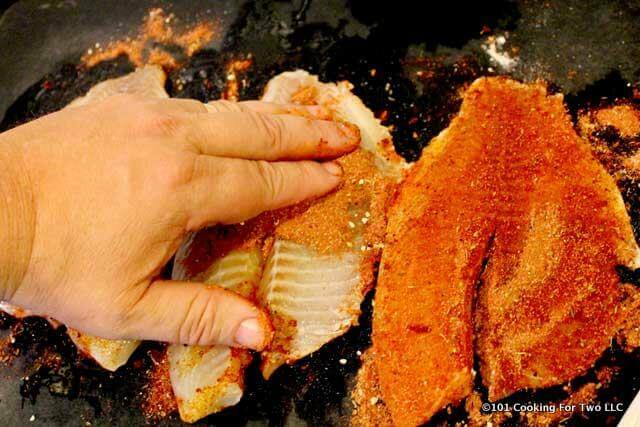 Cover the fillets with the spices and rub it in (both sides). Use only about 1/3 - 1/2 of what you mixed. Save the rest for another cooking. Place on the oiled pan and give a light spray of PAM. Place in the preheated oven. Cook until nicely brown and flaky. This is about 10 minutes for big fillets and a minute or two less for small to medium fillets. The spice mix makes more than you need. You only need 1/3 to 1/2 of the mix for one pound of fish. Save the rest for another cooking. The cayenne heat level will be 9/10 at 1 teaspoon, 7/10 at 1/2 teaspoon and 3-4/10 at 1/4 teaspoon. Or skip it if you want. Nutritional information do not include tarter sauce. Sounds great. I’ve tried cast iron on the stove, but the smoke alarm was not happy. A couple of questions: Can I use un-oiled silicone baking pads instead of foil? If I’m doing a smaller quantity of fish, does the cooking time change? So your questions. The silicon mat. Yes, but I think it needs a bit of oil. So a light spray of PAM in both sides of the fish would probably be better. But you can try without. Cooking time would be unchanged for smaller quantities. Dr.Dan, will the recipe be messed up if I don’t use the Cayenne pepper at all? My husband is allergic to it. There is a lot of tastes other than the cayenne so go ahead. Of course, there will be no heat. Loved the recipe! I like seafood and I’m always looking for new fish recipes. Baking is way better than cooking on the stovetop. Less mess and more reliable (for me at least). I do love this recipe. The seasoning is just right. I have issues with stovetop fish, it is always fried, makes a mess and I always break the fish somehow. Plus I don’t seem to get it done correctly. Baking or grill are much more reliable for me. Ohhh I’m excited to eat this blackened tilapia again tonight. It is VERY good! I’ve made your tartar sauce as well and it’s just as good. My question is if I double the tartar sauce how long will it keep in the fridge? I would only keep it for about 3 days just like most leftovers. I usually make our tilapia with fresh lemon and pepper, but didn’t have any lemons. 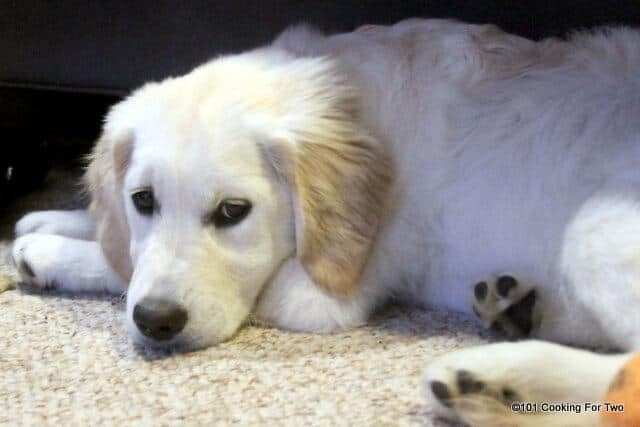 So I did a quick google search for recipes with Tilapia, and found yours. Very very good. Happy to not only stumble upon this recipie, but will notlw check out your others. Thanks! Made for dinner tonight and it smells delicious! Yummy. Used 1/4 tsp. Cayenne. Just right! I do love the baked pork tenderloin. I always get disappointed anymore with the Iowa restaurant versions. They seemed better years ago. Also, I try to bake and not fry if I can. It probably helps that I use real tenderloin and HyVee “tenderloin” is really loin. I don’t have much seafood on the blog. I’m from deep in farm country (Chariton) and if it didn’t moo, oink or cluck, you didn’t eat it. Having said that, I’m learning to love less “fishy” things like this recipe. About blackened salmon, no I have never done it but if you find “The 10-Minute Rule for Cooking Fish” which should help adapt this to salmon. Dr. Dan, I am not sure what to say other than excellent. I was looking for a fish recipe for fish tacos and found your blackened tilapia on a grill. 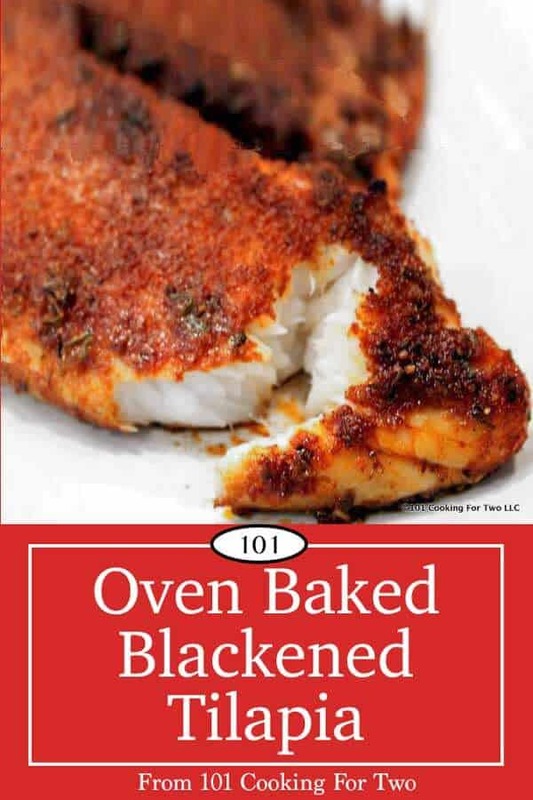 However it was 1*F and my gill was covered in snow so I when noticed a link to the oven baked blackened tilapia I had to give it a try as my wife does not like me to blacken things on the stove top due to the mess and the smoke. I had 1 lb of halibut fillets (3) just over an inch thick. I used your recipe as written with one change. I was out of cayenne powder so I sub’d 1 teas of NM chili powder. I cooked 6 minutes per side and it came out great. Cooked but still moist and flaky. We made fish tacos with flour tortillas, cole slaw, and your easy tarter sauce. My wife was suitably impressed. This is another recipe that goes in the “do it again” stack. Thanks from Alaska. Question: do I need to defrost the fish first? A general role is to double cooking time for frozen fish. I think that is a bit much for something this thin. I would thaw mainly since I don’t think the seasoning would penetrate the fish well. 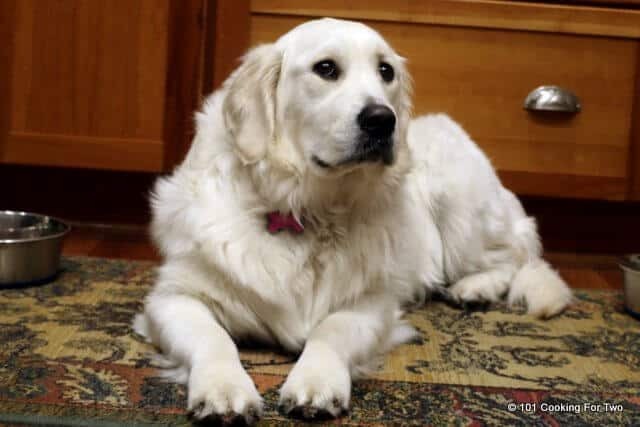 Froze is usually vacuum packed so it won’t take long in a pan of cool water. My husband and I both thought this was too salty. And coming from me that’s saying a lot because I even put salt on my pizza. I put about 1/2 tsp cayenne pepper and still too salty. I would put 1/2 tsp salt next time. Otherwise it was tasty and thanks for sharing the recipe. Truly one of my favorite recipes! I feel like I’m a pretty good cook and can handle very complex recipes…but this is so simple and the result is amazing! I have shared this recipe with so many friends and coworkers and they all love it too! I have done this with frozen tilapia filets straight from the bag (cooking temp/time on the bag) and this works great too. Even the tartar sauce is great! I tried the Oven Baked Blackened Tilapia last night. It was SUPERB!!! I definitely will cook it again. Thanks so much for this Easy to Prepare, Easy to Clean Up recipe. The fish was perfectly Delicious; my Mom and I loved, Loved, LOVED it! tartar sauce. AIas, couldn’t stop myself from adding sour cream, finely diced purple onions, and lime juice to the tartar sauce but, Wow! It was perfect! 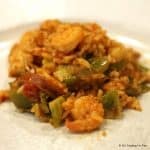 I made this recipe for 4 and they all loved it, including myself. They all suggested to have it made more often. It’s a really easy and convenient meal. Thank you so much! DEFINITELY great if you like spicy. I’m not much of a fish fan but after having some delicious blackened fish tacos at a restaurant I decided to give making my own blackened fish a try. This recipe was great super easy to make for the tartar sauce I used Greek yogurt in place of the mayo since I’m trying to be healthy. Everything tastes great. I imagine it’d be better with mayo but still better than I expected with the yogurt! Thanks for the note. 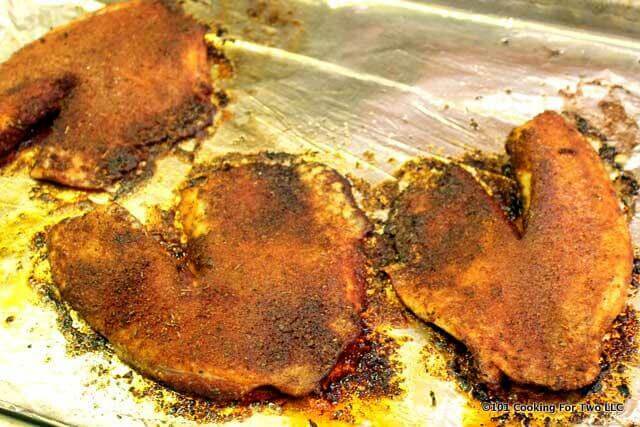 This is the easy way to blackened fish. Since I almost have tilapia in my freezer, I am going to try this because it is oven baked rather than fried. If this was based on Big Daddy’s recipe I know it will be good as I have made that recipe quite a few times but not lately. I used to fry it in grape seed oil as this oil withstands a higher temperature without burning and also emits a good flavor. I still remember working on another recipe watching Big Daddy for the first time cook blackened tilapia. It looked great but I really didn’t want the pan frying. Leading to this recipe. Thanks Lorraine, I like a little spice in my life. Not that I know of but it probably would work but the timing is unknown to me. I thought this was fabulous! I used the full amount of cayenne because we like it spicy. Thanks for the great recipe! Hi Peggy, Thanks for the note. I’m cutting back the cayenne even more as we get older. Is this recipe for frozen or thawed tilapia?